10 Tasks you Can Get Done on TaskMitra.com this Ganesh Chaturthi! With Ganesh Chaturthi being right around the corner, it’s time for all the devotees to get into the prepping up mode, isn’t it? Whether you bring in the Lord home for 2 days or 11 days, we at TaskMitra know exactly how taxing things can get! 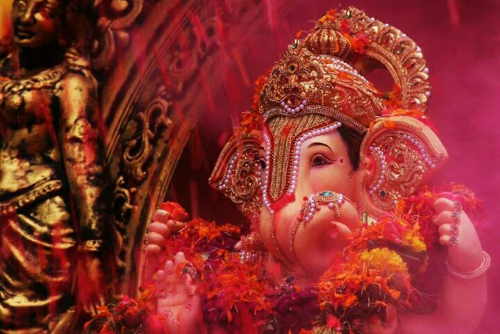 Right from choosing a Ganpati idol until the Visarjan ceremony, there’s a lot of hustle and bustle that one goes through to please the Lord of Wisdom and Prosperity. But this Ganesh Chaturthi − TaskMitra makes your life a lot simpler, as you can outsource your Tasks (anything you need) in under a minute and receive offers from skilled and verified people to help you complete them at friendly prices. Here are some of the things you can get done. Cleaning Services: This is where all the preparations kickstart from..But hey!! When it comes to cleaning, isn’t it a BIG no-no for most of us? Don’t waste your time and energy dusting and mopping. Connect with efficient people who’ll leave your homes spick and span. Makar/Pandal Decoration: No more hunting for thermocol stands, garlands,ornaments and streamers on the busy and crowded streets of Dadar. How about hiring a Mitra who’ll do the running and pick the prettiest pandal decorations for you. There’s nothing better than someone whatsapping multiple image options for you to pick, while you’re comfortably chilling on your couch, Sounds good huh?! Car Decorator: Transform your car into a grand chariot for the Lord’s welcome. Find the best car decorators to make an outstanding entrance. Florist: No need to stroll through Dadar market for the freshest flowers early in the morning. Connect with a florist who’ll pick the most beautiful blooms for your décor. Pandit for a Puja: Don’t let the scarcity of pandits during this busy week affect your auspicious puja. Make a prior appointment and we’ll make sure nothing hampers your devotional day. Catering Service: With the many guests pouring in at your home to seek blessings we help you get the right hospitality and serve your guest best. Good food, sweets and prasad, get the the best quality F&B services by connecting with the right caterers. Photographer: Make your memories for these blessed days special. Look for a photographer that fits in your budget for the occasion. Rangoli Artist: Beautiful and colourful rangolis add a touch of traditional glam to your entrance. We’ll help you find pro rangoli artists so that you have nothing but the best. Local Band or DJ: You’re in mood to do the lazim on Nasik dhol or do the bollywood thumkas on the streets… hire local bands or Djs and enjoy the agaman or Visarjan ceremony with great gusto! Personal Assistance: Last minute errands like sending out invites, picking things from markets, helping in the kitchen, queuing in lines for darshan, can all be stressful. Find personal assistance who’ll complete all these works for you. Need help with tasks this Ganesh Chaturthi?